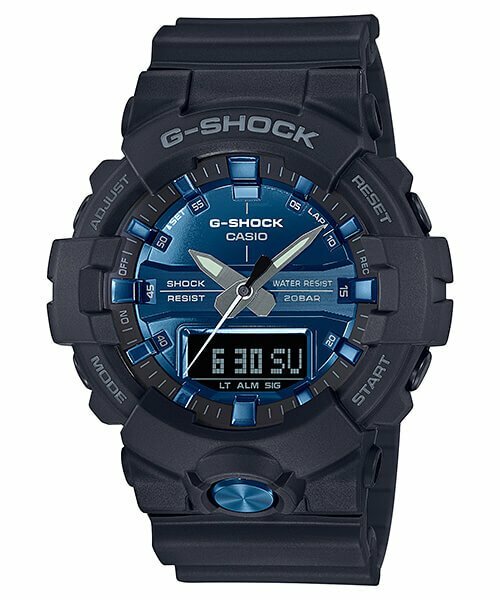 The G-Shock DW-6900MM and GA-800MM Series continues the trend of the metallic mirror faces like the digital DW-5600BBM/DW-5700BBM Series and analog-digital GA-710 series. 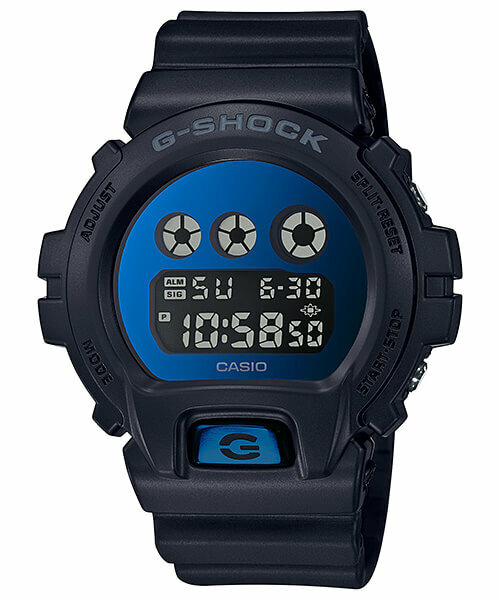 This series offers silver metallic faces with the DW-6900MMA-1 and GA-810MMA-1A and blue metallic faces with the DW-6900MMA-2 and GA-810MMB-1A2. The DW-6900MM models are the first DW-6900 models to feature the vapor deposition reflective mirror applied to the back of the display glass. They are also equipped with ion plated stainless steel front backlight buttons. A light gray logo and stealth button labels on the matte bezel accentuate the mirrored faces. 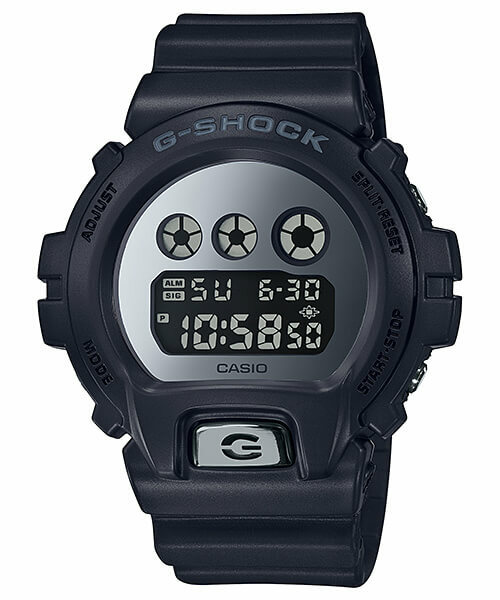 Based on the classic 1995 model, these are basic G-Shocks featuring a stopwatch, timer, alarm, and EL backlight. The GA-810MM models also have a vapor-deposited metallic mirror display and stainless steel front light buttons along with light gray bezel lettering. 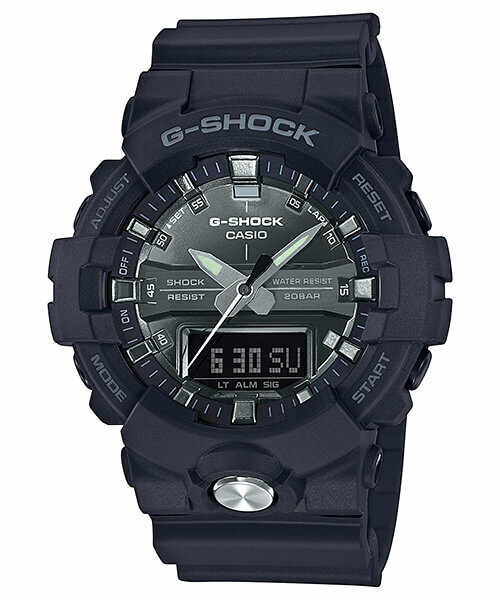 Based on the GA-800, these are unique analog-digital models featuring 3 hands, a dedicated stopwatch start button, and a 120-lap data memory. Other features include Neo-Brite luminous hands, dual time (with home time swapping), 1/100 second stopwatch (24 hours), countdown timer (100 minutes), 5 alarms, auto dual LED Super Illuminator lights, and estimated 3-year battery. The DW-6900MMA-1JF, DW-6900MMA-2JF, GA-810MMA-1AJF, and GA-810MMB-1A2JF are August 2018 releases in Japan with a list price of ¥12,500 each for the DW-6900MM models and ¥18,000 JPY each for the GA-810MM models. Update: The DW-6900MMA-1, DW-6900MMA-2, GA-810MMA-1A, and GA-810MMB-1A2 are also scheduled for a wider Asia release.